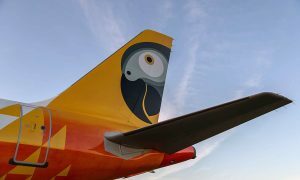 fastjet, the low-cost pan-African airline, has increased the number of flights on its growing international and domestic network from Dar es Salaam’s Julius Nyerere International Airport, Tanzania, in response to strong passenger demand. fastjet now offers daily flights on its international routes from Dar es Salaam to Johannesburg, Harare and Lusaka, providing passengers with increased and more convenient travel options at affordable fares. It has also doubled its flight frequency on the newly launched Dar es Salaam – Lilongwe route from two to four flights per week, which follows not long after the first flight took off between the two cities on 29 July 2015. fastjet’s Dar es Salaam and Kilimanjaro to Entebbe routes remain at three times weekly schedules. Domestically, the airline will now offer up to five daily flights from Dar es Salaam to Mwanza, up to four daily flights linking Dar es Salaam and Kilimanjaro, two daily flights from Dar es Salaam to Mbeya, and daily flights between Kilimanjaro and Mwanza. The new schedule will commence on 1 September 2015 for the Johannesburg flights and mid-September for all other flights from Dar es Salaam. 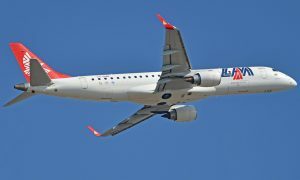 The increased flight schedule is made possible by the introduction of additional aircraft into the Tanzanian fleet later this month, making the fleet a total of four A319 aircraft. 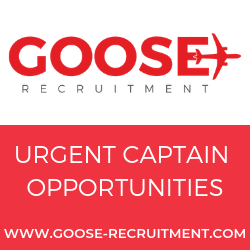 The new schedule follows the airline’s recent operational announcement in which it reported its highest monthly passenger numbers to date. During the month of July, fastjet carried a total of 71,763 passengers, an increase of 36% on the same month in the prior year. The load factor for July was 72%, with punctuality remaining excellent with 95% of flights arriving on time.